Microservices is a popular, but vague term. And — it turns out — definitions of microservices can vary, depending on what you want them to accomplish and how you want them to communicate with each other. 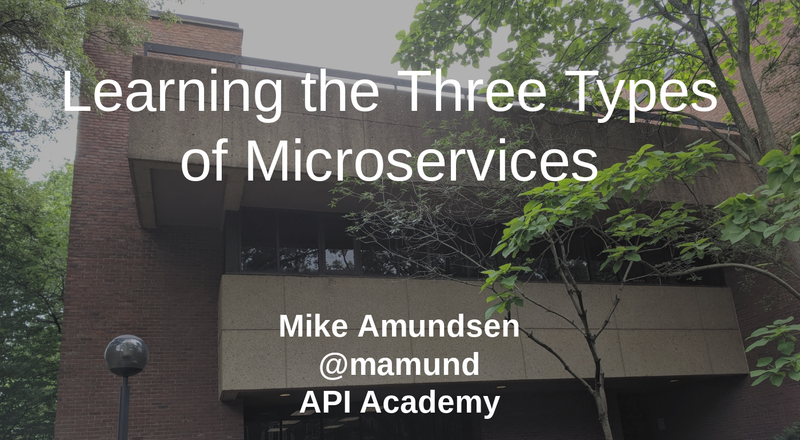 So, just what are the three types of Microservices, what makes them unique, and when do you deploy each of them? In this wide-ranging talk, you’ll learn the difference between Stateless, Data-Centric, and Aggregator microservice models, how to identify which one you need to build, and the challenges to keeping each of the up and running in a complex distributed system. You’ll also learn how to apply Nygaard’s Stability Patterns (from his book, "Release It!") to ensure your Microservice components are stable and resilient throughout the software lifecycle. Whether you are new to Microservices or a veteran, a software developer or enterprise architect, this talk will help you get a handle on how to design and build successful Microservice components for you organization.